Review: REPRESS ALERT: Arriving at their fourth release, Emotional Rescue's knowledge of forgotten musical gems and their commitment to give them the chance of wider appreciation they fully deserve cannot be in question! 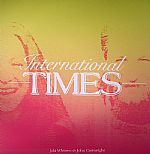 After digging out that Bob Chance classic, the focus switches to something of an equally balearic nature with the release of Jaki Whitren & John Cartwright's lost folk rock album International Times. Originally released as a private press on the obscure French label Living Records back in 1983, this eight track album is filled with dusty soul nuggets which are given extra life by the silky vocal stylings of Whitren - formerly a backing singer for Alan Parson. Opening track "Stay Cool" sounds quite ahead of it's time, whilst there are some true dancefloor gems for the more adventurous DJs out there, such as the title track and the laid back bump of "Go With The Flow." Review: Emotional Rescue previously dived into the plush, soulful and verdant sound of Jaki Whitren and John Cartwright with the reissue of their essential International Times album back in 2013. 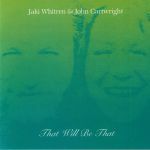 Sadly Whitren and Cartwright passed away two years ago, and this 7" of previously CD/digital-only material materialises in tribute to these wonderfully talented souls. "That Will Be That" is an effervescent boogie jam with rich synths that interplay beautifully with Whitren's stunning vocal, while "This Time" takes a starkly opposite approach with just the most delicate of keys lingering behind Whitren's powerful, echoing vocal. It's a poignant note of remembrance for two gifted musicians who shone their light into the world.